Bernie Borges, CMO of Vengreso and host of the weekly Social Business Engine podcast, has published a five-episode series titled The Five Most Influential Topics for B2B Marketing. This podcast series is co-hosted by Dale Hall, SVP of Marketing at Lithium Technologies. On the first episode, they discuss B2B Influencer Marketing, how some companies are using B2B influencer marketing to succeed, and some of the pitfalls of influencer marketing in a B2B setting. Why is B2B Influencer Marketing Important? When most people think of influencer marketing, certain images come to mind: beauty bloggers reviewing their latest makeup finds, celebrity athletes sharing how they couldn’t have made that play without the right pair of shoes, or fitness gurus mixing up a great new protein shake. These common influencer marketing scenarios are B2C based, where businesses are using influencers to reach out to a consumer audience. But B2B marketers are rapidly joining the influencer marketing bandwagon, and with good reason. Studies show that influencer marketing campaigns can have an ROI of as much as $6.50 for every $1 spent! 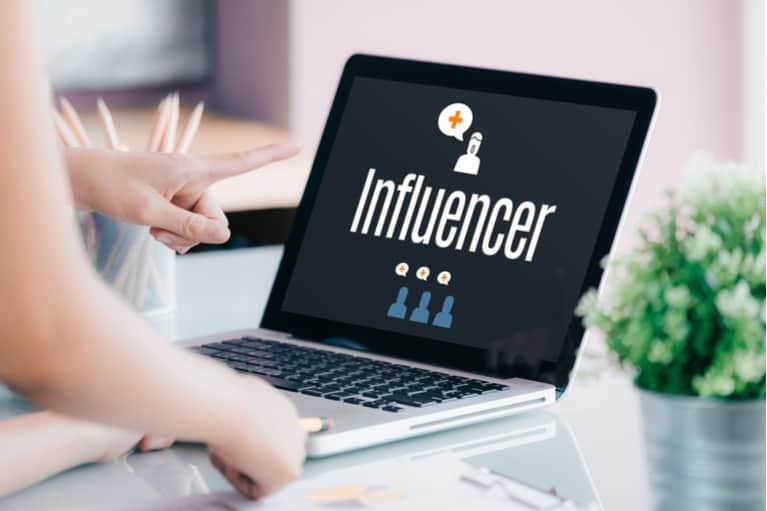 Some of the earliest examples of influencer marketing were celebrity endorsements, often movie stars or athletes showcasing a product for their fans to try. Brands struggled to find “the one” influencer who could successfully resonate with their target audience. 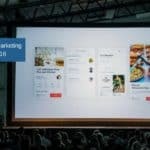 Today, successful marketers have recognized that there is no “one” influencer who can connect with your entire audience. It’s important to reach out to multiple influencers who have a variety of backgrounds, skillsets, and audience demographics. Don’t waste time trying to attract only the “elite” of your industry. These are the top executives, the name brands, and generally any influencer that will have plenty of brands trying to reach out to their influence. Not only is there peak competition with these influencers, you’ll also be limiting your reach. These industry elites often have a much more limited scope, interacting with only others near the top of their industry. For a broader reach, focus on connecting with influencers whose network has a wider expanse. The cost of these “lower level” influencers will also offer a much greater ROI. Finally, it’s important to recognize that influencer marketing is never done, especially in a B2B setting. B2B influencer marketing isn’t about simply showcasing a product; it’s about building relationships with other businesses in your industry and expanding your network. A good influencer marketing strategy is consistent and encourages engagement and interaction. 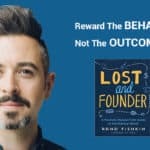 Some of the main ideas discussed between Dale Hall and Bernie Borges in this podcast episode are what B2B influencer marketing should be, and what it shouldn’t. Successful B2B influencer marketing is genuine, above all else. Influencer marketing is a step away from outdated “salesy” marketing tactics that set out to manipulate in order to close sales. This strategy simply doesn’t work in the age of information. B2B influencer marketing focuses on developing genuine relationships with industry influencers, building relationships, and fostering engagement and interaction. Rather than selling your community on a product, B2B influencer marketing is about letting the community get to know you and your brand, and allowing those sales to come naturally. Another key to B2B influencer marketing is recognizing that no two influencers are alike. Don’t expect the same results from every influencer, and likewise it’s not a good idea to push the exact same strategy on every influencer you work with. Instead, work on building a relationship with each influencer as an individual, and strategizing based on their experience and expertise. Above all else, B2B influencer marketing is about building partnerships between industry influencers and your brand. 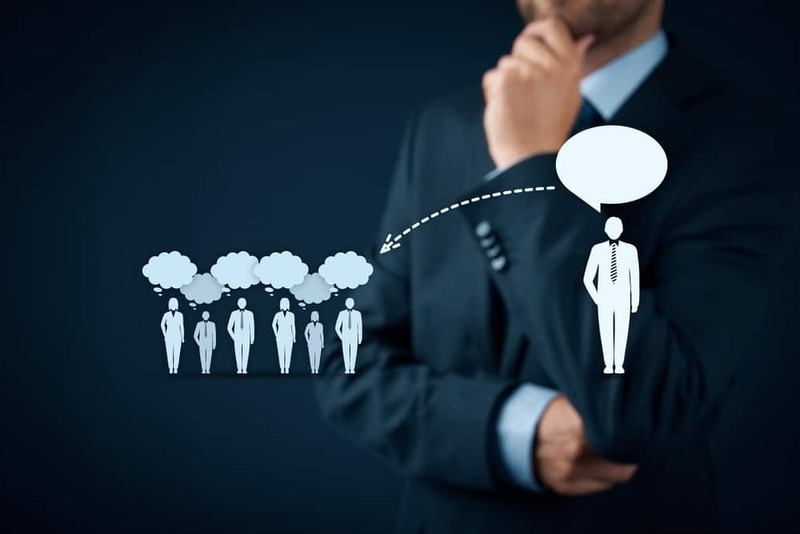 What Makes a Good B2B Influencer Strategy? Influencers spend years establishing a trust with their community, which results in a quality influencer with a level of built-in authenticity that your brand can use. 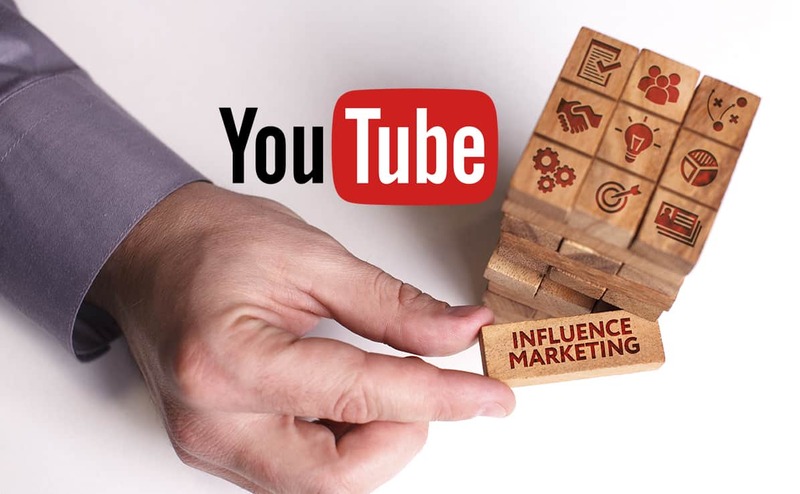 Allow your influencers to make decisions that enable them to connect with their audience in a way that is genuine and won’t force them to compromise trust. Again, search for influencers who have spent time building their reputations as thought leaders in their industry. Your brand can utilize that authority by connecting with those influencers and partnering with them to expand the reach of your brand. When people see content with your brand, most will assume that everything directly from you comes with the ultimate goal of “sales.” This sales-wary market has made it difficult for brands to successfully connect with their audience. That’s where influencers come in. An influencer is able to engage with their network and promote your brand without the appearance of wanting to “sell” your brand to people, making the message appear more sincere. What’s Trending in Influencer Marketing? According to Dale Hall, UGC (User Generated Content) is making a comeback in influencer marketing strategy. User generated content was popular for a short time a few years ago before dying off in favor of branded content, but today it’s regaining popularity for its genuine approach to brand advocacy. User generated content teaches marketing strategists to pay attention to what their audience has to say; rather than spending thousands on market research, customers are often happy to let you know what they think, what their concerns are, and what they’re looking for in your brand. Bernie Borges is the CMO and co-founder of Vengreso. 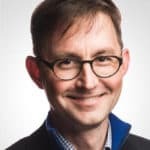 His weekly podcast, the Social Business Engine, showcases industry leaders from brands who share their ideas and achievements in digital and social marketing strategy in an informative and educational format. In his latest podcast series, the 5 Most Influential Topics for B2B Marketing, Bernie is joined by Dayle Hall, Senior Vice President of Marketing at Lithium Technologies to discuss what’s essential to B2B marketers. Bernie Borges is CEO of Find and Convert, a digital consultancy serving B2B clients, and Executive Producer of the Social Business Engine digital media property. Borges is author of "Marketing 2.0," a frequent speaker at marketing conferences and a former AMA Face to Face Workshop Faculty member. Borges is an IBM Futurist, Dell Social Influencer and has been recognized by industry peers, including Likeable Local’s 150 Marketers to Follow, Cision’s Top 50 Content Marketers on Twitter, Online Marketing Institute’s Top 15 Digital Marketing Educators, and is a regular contributor to Relevance, Social Media Today and Social Media Strategies Summit. How To Find The Right Influencers For Your Business?